My guest this week has been here before, in the relatively young days of the blog. And it seems appropriate to introduce her with that slightly mystical flavour because her novel is about a woman who sees an alternate life. She wrote it in a creative blast, fuelled by dreams, TS Eliot’s Four Quartets and haunting Shamanic music. But this book’s world also includes a hefty dose of humour, with a zany set of invented complementary therapies such as Japanese Forest Bathing. She is Vivienne Tuffnell and she’ll be here tomorrow with her Undercover Soundtrack. My guest this week says that music is the key to most of his work. The title of his short story collection, Nothing But The Dead and Dying, came from a line in a Simon and Garfunkel song. All the stories are bound by the landscape of Alaska, where he worked for a while in a construction crew. Ennio Morricone helped him recreate its barren desolation. And when he’s been stuck on a story, even to the extent of giving up, rescue usually comes in the form of a random piece of music. He is Ryan W Bradley and he’ll be here on Wednesday with his Undercover Soundtrack. My guest this week is another returner to the series, which is rather appropriate as the concern of his book series is reincarnation. He is a composer, pianist and dance accompanist for musical theatre with the UC Berkeley, Princeton, Juilliard, and the ‘Fame’ school. Last time he guested here he wrote about the hidden structures that tell stories. This time, nearly a year has passed and he finds himself questioning the role music is now playing in his writing life. So this is a slightly unusual Undercover Soundtrack, one of questions rather than statements. Nevertheless, you can expect some stirring musical choices. He is Stephen Weinstock and he’ll be here on Wednesday with his Undercover Soundtrack. My guest this week says that when he gives talks about writing, he often says that writing a novel is the literary equivalent to composing a symphony. He describes how his lead characters are like the principal instruments, plotting the crescendos on paper beforehand (not unlike to an idea I sketched out in my first Nail Your Novel book – drawing the characters’ parts on manuscript paper, like a score). One of his novels is set in 1940 and music pervades the whole narrative, especially as the principal characters are musicians. There is music for each character’s mental signature, music for particular moments, music that helped him retune if he felt his grasp on the story slipping. And watch out for a track with a simply sublime title: And In The Endless Pause There Came The Sound of Bees. He is playwright, actor and award-winning author Jason Hewitt and he’ll be here on Wednesday with his Undercover Soundtrack. This week’s guest discovered by accident how music could be such a useful a creative partner. She found that whenever she got stuck on a scene or a character, the most distracting thing would be the silence around her. She began playing music purely so she wouldn’t hear it – and magical things started to happen. The novel she’s talking about in her post is a romantic suspense with a whiff of murder, and her first book was a finalist in the Poolbeg Write A Bestseller competition. She also writes short stories for the UK women’s magazines Take a Break and My Weekly. She is Louise Marley and she’ll be here on Wednesday with her Undercover Soundtrack. My guest this week has a theory that everyone’s head is carrying a tune – a permanent soundtrack, a default earworm. Her own cerebrum is tuned to Jimi Hendrix’s All Along The Watchtower, which has special significance when she starts writing as she sees the process of plotting as the search for an escape. And her book centres on two characters who need this escape – sisters who were professional singers, who go through multiple misunderstandings before they find their equilibrium. (Cue Nina Simone: Don’t Let Me Be Misunderstood.) The author is Nadine Matheson and she’ll be here on Wednesday with her Undercover Soundtrack. Quite often a piece of music will transport me back to an emotional time in my life or a happy event and words flood into pea-brain. I don’t seek out music intentionally but often find inspiration within the lyrics or rhythm. Music stimulates my creative juices. For my fourth novel The Penny Portrait, I tended to be more aware of music as a scene writing influence than in previous times. I’ve been known to jot down notes in a supermarket when they are playing a piece of music that forms an image in my mind. This happened when I heard Love Don’t Live Here Anymore, being played inside a well-known electrical store during a visit to the UK. I sought out one of the assistants as I knew the original singer (Rose Royce) but didn’t recognise the version they played. It appeared the song was by Madonna. 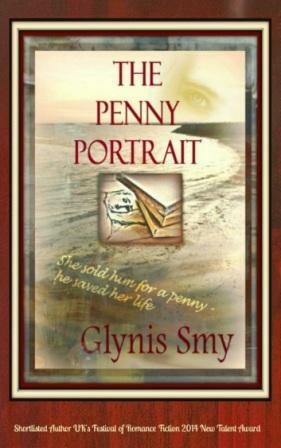 It triggered the base of a novel plot which eventually became The Penny Portrait. It is the emotional growth and survival of a sixteen-year-old Victorian girl abandoned by her parents. I could see Elle Buchanan, standing alone and forlorn and the rest is in the story. When my father passed away I played one of his favourite pieces of music, Sea of Heartbreak by Roseanne Cash. I was living in Cyprus at the time and a dreadful wave of homesickness came over me. I altered the town where the novel was set. I took it back to my birth town, to where my father now rested by the sea. I had walked along a spot where we became trapped by a returning tide when I was a child and recalled how he carried me on his back to safety. This was where I eventually took my character. To the place my father had been my hero, to where I played with my best friend who passed away when we were 36 years old, and to the place where I walked with my boyfriend (now husband). A rugged pathway of emotions beside the sea – a sea of heartbreak and joy. The song triggered so much emotion in me that the decision was made for our return to the UK. In 2013 I walked along the path to the area I remembered and knew it was the right place to write my character’s journey through a difficult life. Elle Buchanan finds friendship here, she falls in love and also loses a friend in the area. Browsing through Madonna’s video selection a few months later, I stumbled across, Frozen. Although I was writing an emotional scene at the time, another was triggered by the words at the start of the song. My characters Elle, and Matthew, took me on another journey and during that journey I created a project for Elle to pursue but couldn’t get her to grasp what I needed from her. She obviously prefers to listen to Etta James, as when I played Damn Your Eyes from Mother’s collection, Elle sent me images of what I needed to write so she could open up her artistic soul. A whole chapter and an ending came from a mix of inspirational words and visions they conjured up for me. Elle couldn’t express her feelings for Matthew during the creation of a painting and left only black eyes as windows for his soul. Her French friend despaired of her and basically told her she had frozen her soul to ignore the facts. While researching the railway service of our town I played my YouTube listing as I browsed endless snippets of information but all I gathered were dates. Useful but not the wow factor I required to inspire me that particular day. Around two hours into the project I tapped my foot to This Old Dark Machine by James Vincent McMorrow. Bam! The chapter of Elle and her mentor Angus, rose to the fore, although the words did not relate to what I’d been researching the title and rhythm of the song triggered a chapter about the first steam train ride for Elle. Glynis Smy lives in the UK, in the seaside town of, Dovercourt, Harwich. She writes historical romance with a twist. The Victorian era fascinates her and she says the best part of writing a novel is often the research. She also writes poetry and short stories. Proud writing moments in her life include being shortlisted for the Festival of Romance Fiction 2014 New Talent Award – and reaching the second round of the Amazon Breakthrough Novel Award 2014. When she is not writing, she enjoys making greetings cards, cross stitch, fishing and the company of her granddaughter. Her blog is here, and you can find her on Facebook and Twitter @GlynisSmy. I’m particularly pleased to welcome this week’s guest as I seem to have known her for all the time I’ve been zipping about the internet. When I was first blogging, and launching the original Nail Your Novel, she was writing and blogging too. Now she’s got five novels to her name, and one of them was shortlisted for the Festival of Romance fiction 2014, writing what she describes as historical romance with a twist. But what about the music, I hear you ask? Yes, it’s a pervasive influence, as you’ll have guessed from the headline of this piece. And among her choices is an unorthodox version of a well-known song, so she ticks those boxes for me too. She is Glynis Smy and she’ll be here on Wednesday with her Undercover Soundtrack. An ‘Undercover Soundtrack’ reflecting the writing I have been doing over the past two years, and which I will continue to work on for the foreseeable future, offers a particular challenge. 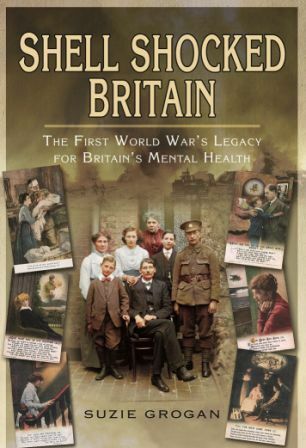 Not specifically character driven, yet evoking a sense of collective trauma across a century, my most recent book Shell Shocked Britain: The First World War’s legacy for Britain’s mental health is a call to arms for those responsible for supporting service personnel and their families on into the 21st century. It is a tough subject, taking a writer to scenes of horror and despair worthy of the darkest psychological thriller; yet the writing must inspire hope and promote understanding and compassion. Some 80,000 men were diagnosed with shell shock during the Great War, but that is a gross under-estimate. It does not include those that broke down post-war, or who suffered in silence until the ends of their lives. It does not include those on the Home Front – families torn apart by grief, or affected by the trauma of air raids. The soundtrack to Shell Shocked Britain is a varied one indeed. The first track I have to mention is Day is Done, by Nick Drake. Drake was a precociously talented young man who found the world a difficult place to live in, despite the opportunities that it offered to express himself through his love of music. My poor husband, regularly working with me at home, was shushed and ignored as I tapped away to the complex and unorthodox guitar and the melancholy lyrics. The day is one of intense loveliness, but the purpose for which I came down must be accomplished. He had served with great courage at the Front, but life had become meaningless for him. Men lost their way, could no longer communicate with loved ones and found solace in self-medication. Occasionally I would reach a point in the manuscript where I felt drained of any emotion and it was then I would turn to Nick Drake. He ended his life with an overdose of antidepressants, planned or accidental. The track recharged my commitment to expose the horrors and give that despair a voice. Researching Shell Shocked Britain I was not surprised to read that those in government were reluctant to step back from the horrors, but I was stunned at the level of ignorance that continued well after the war, and which left families to cope with damaged men, or consigned them to lunatic asylums. Finally, no other song threads its way through the pages of my book like Question, written by Justin Hayward and sung by the Moody Blues. Question – how would we respond to a Spanish influenza outbreak that killed 200,000 people in a year? Question – how could anyone really believe that a spiritualist medium could talk to sons, brothers, lovers lost in the mud and blood of the trenches to the point where some 5000 séance circles were established and thousands would crowd halls large and small to hear a medium communicate with the dead? Question – why did doctors continue to believe men with symptoms of shell shock were malingerers or cowards well beyond the end of the war, leaving thousands of men lost in local lunatic asylums? Question – why do we hear so little about the rise of the eugenics movement post First World War, little realising that many historical figures advocated the eradication of the mentally ill from the ‘breeding’ stock of Britain. And Question – why, 100 years on are young men and women still suffering levels of PTSD wholly unacceptable in a modern military? We may not have the answers, but we, like the Moody Blues, must keep asking the questions. 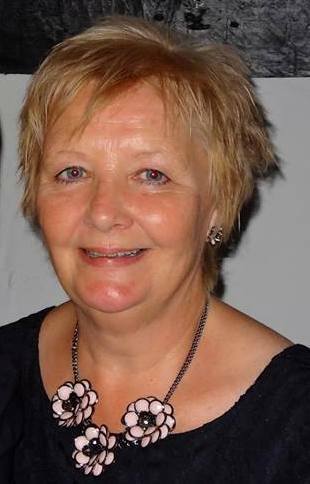 Suzie Grogan is a London-born writer, researcher and editor, published in national publications on the subjects of health (focusing on mental health), women’s issues and social history. She has had two books published and is currently working on two further commissions for Pen and Sword Books for publication in 2016 and 2017. In her spare time she dabbles in fiction and has her own imprint, Mickleden Press. Married with two children – one a philosopher, one a high jumper – she lives in Somerset but has her heart in the Lake District and London. 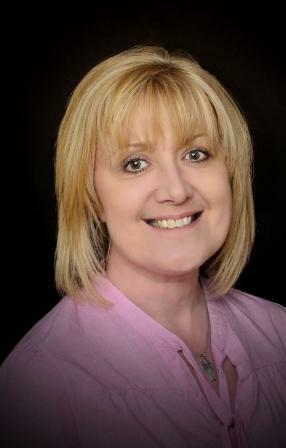 Her long-standing passion for poetry, especially John Keats, has led to the wicked rumour that there are three people in her marriage… Find Suzie on her website, her blog, Facebook, Pinterest and Twitter, where she is both @keatsbabe and @shellshockedgb. Shell-Shocked Britain is available on Amazon or from the publisher. My guest this week is a writer of non-fiction. Her book is an exploration of the legacy of the World Wars on mental health – the soldiers who developed shell shock, broke down afterwards or endured their nightmares in silence. And those on the home front too, the families torn apart by grief or traumatised by air raids. 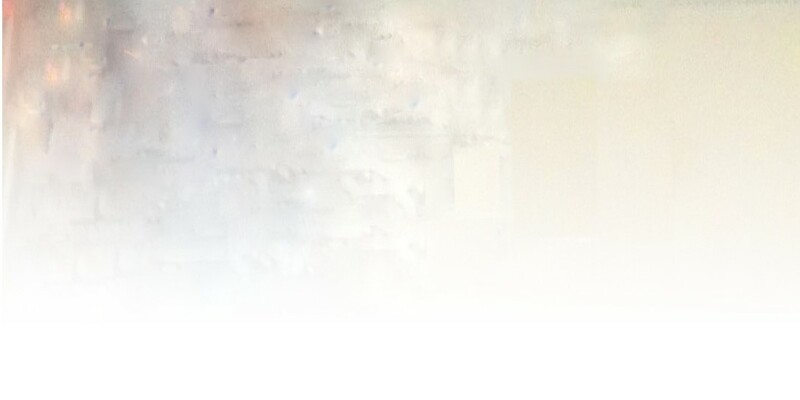 Her soundtrack is honest and searching, seeking a way to do justice to a tough subject. There is the gentle despair of Nick Drake, the Question of the Moody Blues, and a reading of Wilfred Owen by Kenneth Branagh. The author is Suzie Grogan and she’ll be here on Wednesday with her Undercover Soundtrack.